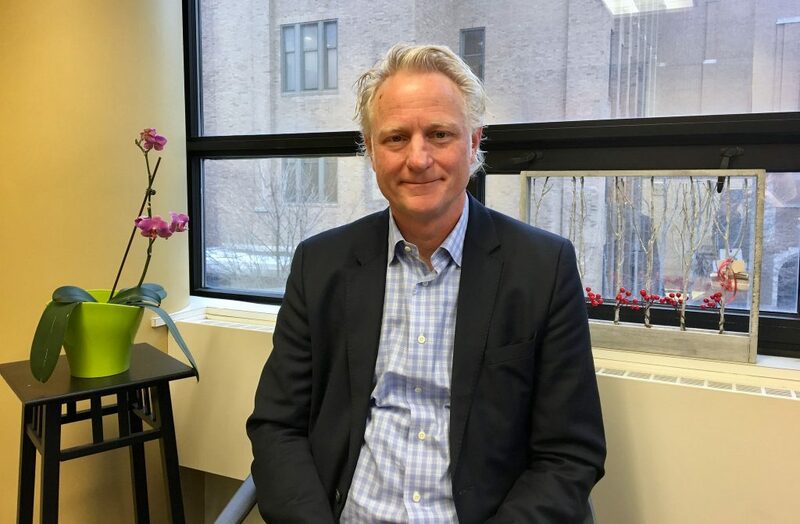 Mark Eppli, a Marquette professor, was nominated for a MANDI award because of his role in founding the ACRE program. Photo by Rachel Kubik. Today, more than 200 students have graduated from the program. They include Keith Stanley, executive director of Near West Side Partners; Donsia Strong Hill, executive director of LISC Milwaukee; and Common Council members Milele Coggs, Khalif Rainey and Jose G. Perez. Vincent Lyles, president and CEO of Boys & Girls Clubs of Greater Milwaukee, is also a graduate, along with James, Clifton and Jalin Phelps, who created JCP Construction. 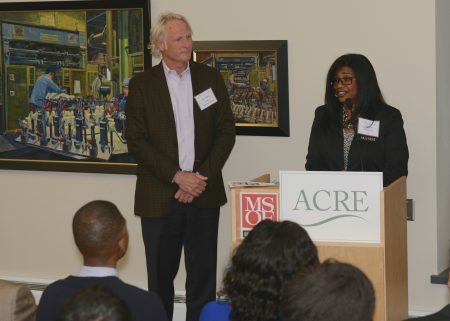 Donsia Strong Hill, LISC Milwaukee executive director, welcomes Mark Eppli at the ACRE graduation in 2016. Photo by Sue Vliet.